Providing services for residents takes more than raw materials and money. It requires leadership and creativity from local government officials, especially when budgets already are stretched. American City & County’s Crown Communities Awards recognize those extra efforts from local governments that have lasting effects on residents, businesses and the environment. 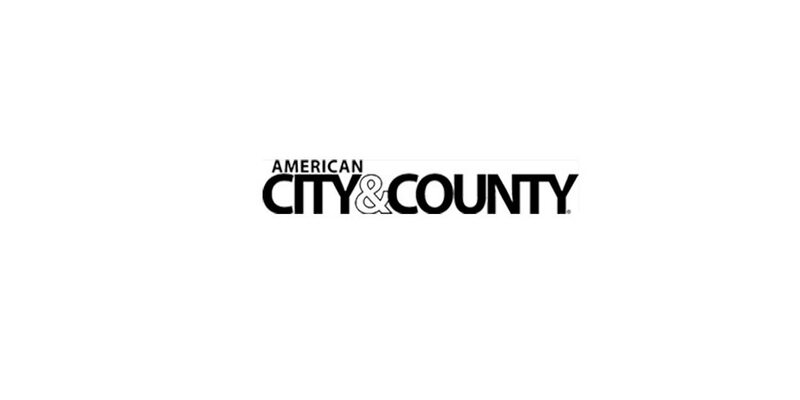 Every year, our editors ask subscribers, city and county leaders and associations to nominate projects completed by cities and counties. The eight winners of the Crown Communities Awards for city projects follow in this issue and include Boston; Buffalo, N.Y.; Compton, Calif.; Ogden, Utah; Renton, Wash.; San Diego, Calif.; Sandy Springs, Ga.; and Scottsdale, Ariz. The winners of the county projects were published in the July issue, and, like the city winners, their projects demonstrated creative methods for solving old problems or offering new services to residents. The entry forms for both categories of 2008 Crown Communities will be available on the American City & County Web site (www.americancityandcounty.com) early next year. Winners of the county awards will be announced in the July issue, and the city winners will be profiled in the December issue. By late last year, youth violence in Boston had increased to troubling rates, attracting the attention of retired advertising executive Jack Connors, who wanted to help. He contacted Mayor Thomas Menino and proposed building a summer camp for inner-city children 11 to 14 years old — those who are too old for other day camps and too young to hold jobs. Menino liked the idea but said the city did not have funds to pay for it. Connors began raising private contributions to design, build, plan and operate the camp, and scheduled it to open in July 2007, leaving only six months for set up. The city identified Long Island — part of the Boston Harbor Island National Park that was full of scraggly underbrush and rocky shoreline — as the site for the camp and leased the land for $1 a year. The island is accessible only by a narrow bridge, so all construction materials and equipment had to be barged in. Yet, the 22-acre camp was finished in nearly 100 days, complete with baseball and soccer fields, basketball and tennis courts, a beach and bathhouse, a great hall, vegetable garden, climbing wall and ropes course. To recruit children who were not eligible for other programs, the city and the Boys & Girls Club of Boston launched a targeted outreach campaign. City staff volunteered to visit more than 2,200 residences in Boston’s housing projects to sign up attendees, and police officers walking beats carried camp applications to distribute. Each child was asked to pay $5 to attend one of the two one-month sessions, and the rest of the estimated $1,700 cost per child was covered by donations. Last summer, the $11 million Camp Harbor View hosted 600 campers and is set to expand next year with construction of a pool and a pier for boating programs. Some of the children continue to participate in year-round activities designed to steer them away from violence, gangs and drugs. When Buffalo, N.Y., Mayor Byron Brown decided to clean up the city, he took to the streets and began addressing problems house by house. He expanded the Save Our Streets (SOS) Task Force, which began conducting “Clean Sweeps” in May 2006 to eliminate crime, vacant buildings and drug houses as well as overgrown lawns, stray animals and gas leaks. While tackling visible problems, the task force also educates residents about city services. Operation Clean Sweep is part of the mayor’s Zero Tolerance plan, which targets drug crime as well as quality-of-life offenses that harm residents and businesses throughout Buffalo. The SOS Task Force, funded by a grant from the U.S. Department of Justice, is comprised of city, state and federal law enforcement, government agencies, neighborhood advocacy groups and corporate partners. During a Clean Sweep event, a multidisciplinary team that may include police officers, fire fighters, and representatives from Rodent Control, the U.S. Marshall’s Office, the Buffalo Animal Shelter and the Department of Social Services enters a neighborhood without warning to surprise criminals. In addition to boarding up drug houses and arresting criminals, the team also distributes smoke detectors, removes abandoned cars and identifies housing code violations. Buffalo conducted 15 Clean Sweeps in 2006, uncovering 41 suspected drug houses and removing more than 122 tons of debris and nearly 4 tons of tires. In addition, 475 properties were baited for rodents, and 195 smoke detectors were distributed to residents. This year, the city will conduct 18 Clean Sweeps. The initiative is reaping rewards, Fleming says. Overall crime was down by 7 percent in 2006 versus 2005, and violent crime fell 26 percent through June 2007, compared with the first six months of 2006. Additionally, Operation Clean Sweep has helped improve communication between the city and residents. “Residents have the chance to interface with city service providers to make service requests and to provide relevant and previously unknown data for law enforcement professionals,” Fleming says. Last year, Compton, Calif., officials identified two significant needs: about $4 million in facility upgrades and additional emergency-response and disaster-preparedness training for public safety employees, whose equipment also needed updating. Because of a static tax base and limited income, city officials found the money to pay for the upgrades, training and equipment through a performance contract with Milwaukee-based Johnson Controls. The company replaced cooling systems, interior lighting and streetlights with more energy-efficient units, the operations and maintenance savings from which will pay for the $4.4 million project over 15 years. If the savings fall short, the company will write the city a check for the difference. The city replaced or re-lamped nearly 5,000 light fixtures in 22 buildings, including replacing all T12 fluorescent lamps with high-efficiency T8 fluorescent lamps and all incandescent lamps with compact fluorescent lamps. It also replaced more than 1,100 old streetlights, which used high-pressure sodium light bulbs that cast a yellowish light and directed up to 50 percent of the light up into the air, with high-efficiency induction lighting fixtures. The new fixtures have lower utility, maintenance and operational costs, as well as higher light levels, better light quality and less light pollution in neighborhoods. Compton’s city hall, built in the 1970s, also received a new, high-efficiency chiller system to replace the old one that no longer worked. With money saved from the energy-efficiency improvements, the city paid for additional emergency-response and disaster-preparedness training for public safety employees and purchased 1,200 vests and saddlebags for first responders. Every city vehicle now is equipped with a kit stocked with three days of emergency supplies. The city also installed a leak-detection system in 45 miles of water mains to identify and fix water leaks, resulting in less waste and lower water costs. Compton also is studying its water rates to determine whether they accurately reflect the actual cost of operating and maintaining the water system. Agencies/companies involved: Compton, Johnson Controls Inc.
For many years, Ogden, Utah’s downtown floundered as developers and consumers headed for the suburbs. That is beginning to change, however, as a result of a city project to replace an abandoned mall with a mixed-use development. The first phase, a 140,000-square-foot recreation facility named the Salomon Center, opened in June 2007 and has spurred adjacent commercial, retail and residential construction. Several years ago, Mayor Matthew Godfrey proposed a plan to purchase the mall and revitalize downtown Ogden, but residents and developers were skeptical. The city pushed forward with the idea, however, purchasing the vacant mall for $6 million in 2001 and demolishing the property. Ogden hired an urban design and planning firm to identify new uses for the site, and invited public suggestions. Gradually, support grew, and shortly after the city approved construction of a recreation center on the site, private developers and investors committed to build neighboring attractions, including a 13-screen movie theater, two four-story office buildings, a six-story, mixed-use project containing 28 condominium units, a mixed-use project with 108 rental units and three restaurants. Since the Salomon Center opened, a developer has announced another mixed-use project downtown consisting of a seven-story building with 63 condominium units. Also, under negotiation is a 14-story, mixed-use project that will contain 570,000 square feet of condominium and 106,000 square feet of hotel space. The development will complete the city’s plan to redevelop about 20 acres of Ogden’s central business district, Patterson says. The cost of the center, excluding land, was $20 million, financed through tax increment bonds ($7.28 million), lease revenue bonds ($8.9 million), and $3.82 million from the general fund. The combined cost of the downtown redevelopment when it is completed in 2010 is estimated at $188 million. “The expanded interest created by the Salomon Center and the downtown redevelopment success will help attract the resources necessary to improve the tax base of the city and the lifestyle of its residents,” Patterson says. With neighbors like Amazon.com, Microsoft and Expedia, Renton, Wash., had reason to be embarrassed by its low-tech, outdated Web site. It suffered from a cumbersome address (ci.renton.wa.us), poor navigation, amateurish design and a confusing structure. Renton officials realized the need for change and assembled a multi-departmental team to create a new site that minimized government jargon, made services more accessible and convenient for residents while providing multiple ways to inform them about city news and events. “We saw the Web site as one of our primary communications tools. With an improved Web site, we could better serve our community and reaffirm our commitment to customer service,” says Preeti Shridhar, Renton communications director. Renton outsourced the design and server hosting while handling all other aspects in-house. Transitioning from the old to the new site required converting more than 1,500 pages of content and installing a content management system that divided site management among departments, creating 35 to 40 “sub-Webmasters” rather than just one. Deferring Web management to existing staff, with oversight from the interdepartmental “volunteer” Web team and communications director, keeps information current and costs low, Shridhar says. But, it also means more departments and staff are involved, requiring additional training and responsibilities. Including design, branding, software, programming, hosting, multimedia software capabilities and online services, the Web site, funded as a capital improvement project, cost $54,397 in 2005 and $48,554 in 2006. In January 2007, Renton officially launched its new site, RentonWA.gov. Along with structural and visual improvements, the site includes a dynamic home page with direct links to popular pages and breaking news. An interactive calendar, improved search function, live streaming of the local government access channel, and a subscription-based e-mail alert feature also were added. Users have responded: in January 2006, the old site received 242,390 page views; in January 2007, the new site got 894,449 page views, with an additional 30 percent increase in page views by July 2007. According to user surveys, the Web site went from 73 percent of users not being able to find what they were looking for in November/December 2006 to 0 percent not finding what they were looking for in February 2007. When fires broke out four years ago in and around San Diego, emergency responders battled communication breakdowns along with the blazes. After the event, San Diego’s public safety community began resolving serious problems in its voice system coverage to ensure local, regional, state and federal agencies could share information at any time. To ensure the system had enough capacity for video teleconferencing, secure wide-area sharing of helicopter video images, computer-assisted dispatch (CAD)-to-CAD links, data sharing between emergency operations centers (EOCs) and secure voice/image communications, San Diego had to build its own network. The high-capacity connections had to operate not just within the city, but also among neighboring cities, nearby counties, and state and federal agencies. City officials initially identified 85 sites over nearly 22,000 square miles as potential locations to incorporate in the network, including San Diego, Imperial, Orange, and Riverside counties in California, as well as Yuma County, Ariz. Two consulting firms were hired as project managers to coordinate with each of the participating agencies and vendors. An initial 16-site pilot program completed this year cost $6 million, financed by a U.S. Department of Justice COPS Interoperable Technology Grant and the California State Homeland Security Grant Program. Another $17 million has been raised to fund additional phases through 2010, Stapleton says. When Sandy Springs, a community of 87,000 north of Atlanta, became a city in December 2005, city officials wanted to build a fire department for the 37 square-mile city that would be staffed with highly trained fire fighters who could respond quickly to medical and fire emergencies. City Manager John McDonough hired Fire Chief Jack McElfish and doctors Ian Greenwald and Eric Ossmann of Emory University’s Department of Emergency Medicine to lead the city’s effort to develop an emergency medical services (EMS)-based fire and rescue service. The department began to take shape as the city hired and trained personnel, and adopted fire codes. Sandy Springs Fire Department (SSFD) crews have a rigorous training schedule that includes at least 24 hours each year on everything from search and rescue to public transportation emergencies, and they must complete four to eight hours of training each month in both fire and EMS response. Sandy Springs purchased two fire stations from Fulton County and leased a third within city limits. A fourth station in Atlanta city limits was leased for $1 a year in exchange for coverage to the surrounding area in Atlanta. SSFD ordered four custom-built, 105-foot quints (vehicles that carry supply hose, water, pump, 105-foot aerial ladder and ground ladders), and two 2,000 gallon-per-minute pumpers. The city council approved $600,000 to install automated external defibrillators (AEDs) in police cars and top-of-the-line medical equipment on fire apparatus, and to train personnel in CPR and AED use. The city also purchased SUVs and staffed them with state- and nationally certified medics to respond quickly to medical emergencies. In addition, Greenwald and Ossmann established a program for senior emergency medicine resident physicians to work with fire medics in the field. About $5 million was spent on start-up equipment: apparatus, phones, software and uniforms. Another $3 million covered salaries, benefits and operations. In addition, the community has contributed thousands of dollars in donations, which include Stryker “stair” chairs, animal oxygen masks and refrigerators. The SSFD opened its doors Dec. 29, 2006. In the first month, its “fire rescue technicians” responded to 793 calls, 72 percent of which were EMS-related. During its first six months, the department answered more than 8,000 service calls. SSFD also plans to finish inspecting all 2,600 buildings in the city for compliance with fire and safety codes, having examined more than 60 percent by summer 2007. City officials aim to raise the city’s cardiac arrest survival rate from the metro area’s average 1 percent to between 20 and 25 percent within five years. To that end, fire crews offer blood pressure checks and free CPR and AED training for residents, with the goal of having 1,000 people capable of using them by this year’s end. By summer, nearly 500 had completed the program. A water treatment plant is not supposed to be a work of art, but do not tell Scottsdale, Ariz. The city needed to boost its water-producing capacity to meet new demand in an area near downtown that was attracting high-rise living, retail and commercial developments. But, the area was densely populated, so finding an appropriate, available and affordable location was difficult, and the plant’s design needed to blend in with the neighborhood. The result — the city-funded, $64.5 million Chaparral Water Treatment Plant — is the first major surface water treatment plant in Arizona to use membrane filtration for particle removal, to combine direct ultra-filtration membranes with granular activated carbon (GAC) absorption, to implement post-GAC filtration and to remove arsenic. Sodium hypochlorite, which is used to disinfect drinking water, is made on site, eliminating the need for gaseous chlorine storage. The plant’s design blends with the adjacent park and the nearby residential neighborhood. Its massive buildings are situated to minimize their silhouettes, making them scale with homes. Industrial elements are hidden from neighborhood view, and the plant functions quietly, does not emit odor or pollute and creates no traffic hazards, Mansfield says. The plant also was designed to be an attraction in and of itself. Many of its exterior elements were created to reflect desert art and culture. For example, exterior pipes symbolize the filtration process and have an aesthetic effect when the light and shadows play off them. About 16,000 square feet of “tensile structures” — large, triangular awnings that represent nomadic desert dwellings — open out above the space like sails, providing shade. A system of indigenous rocks in metal baskets — “gabion walls” — is used to terrace the base of the plant and transition to the park. Additionally, the plant features a six-acre xeriscape garden with native plants and an outdoor classroom.